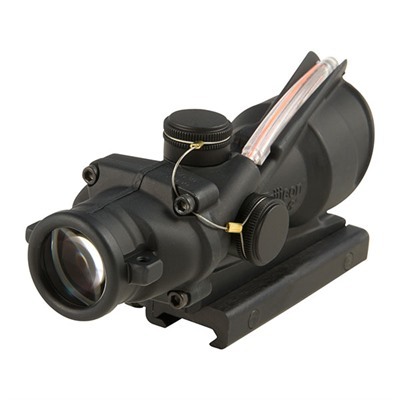 Compact, 4x magnification scope clamps to a MIL-STD 1913 Picatinny receiver rail and features a bright, red Chevron reticle that is lit by both fiber optics and Tritium. 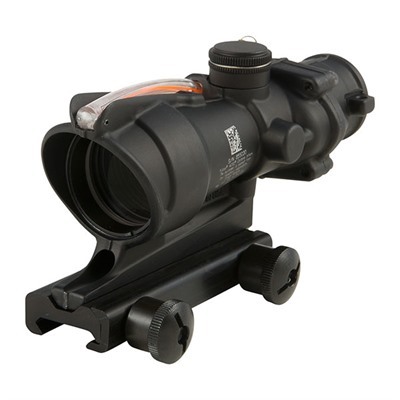 Gives a vivid sight picture at distances up to 800 meters. 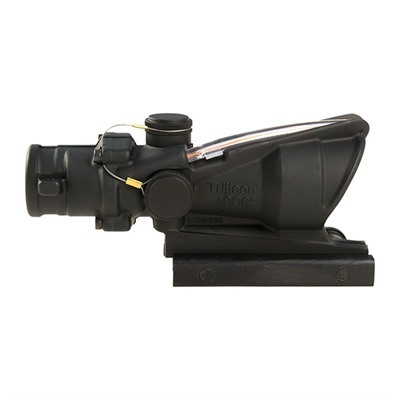 Uses the Bindon Aiming concept (BAC) for excellent, both-eyes-open, target acquisition. Sight tunnel retains use of iron sights. TA31G - Green Donut .223 Ballistic Reticle, does not include Picatinny stype base required for mounting to rail. TA31F- Red chevron reticle with TA51Picatinny mount. TA31-CH- Red crosshair reticle with TA51Picatinny mount. TA31F-G- Green chevron reticle with TA51Picatinny mount. TA31H- Red horseshoe and dot reticle with TA51Picatinny mount. TA31H-G - Green horseshoe and dot reticle with TA51Picatinny mount. TA31-68- Red horseshoe and dot reticle with TA51Picatinny mount calibrated for 6.8SPC rifles. SPECS: Forged 7075-T6 aluminum housing, black, anodized; coated lenses. Approximately 5.8" (14.7cm) long, 10 oz. (284 g) weight. 4X magnification, 32mm objective lens. Adjustable for windage and elevation. Length Please Select 5.8" 6.7"